Don’t miss out on Caroline Castigliano’s EXCLUSIVE Designer Wedding Dress Sample Sale on the 10th and 11th of April 2015. Visit us at our luxurious Knightsbridge Store on Brompton Rd and find wedding dresses priced from £1,000 to £2,300. An amazing saving of up to 50% less than the normal price for a truly stunning designer wedding dress. All wedding dresses in the Caroline Castigliano sale are either ex samples, prototypes, and window dressings or may have been worn for exclusive catwalk shows. 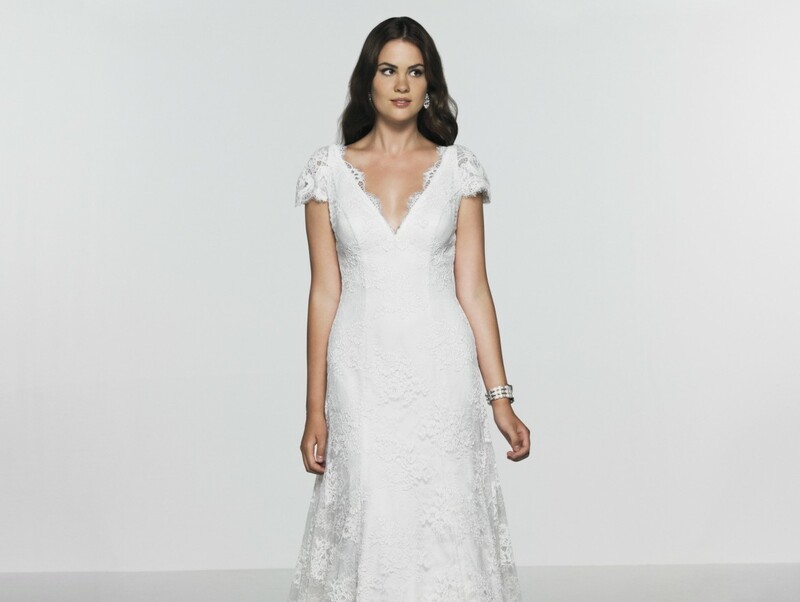 All of our wedding dresses are in great condition and in a range of high street sizes from a size 8 to 12. All of our designer wedding dresses are offered with an alteration service within our exclusive boutique to ensure your wedding dress is fitted by the highly trained team at Caroline Castigliano. Bring someone with you whose opinion you really value, they can help you find the perfect designer wedding dress. Make sure you wear the right underwear, it’s really important that the underwear you wear under your wedding dress is ‘invisible,’ so you want to make sure it is when trying on. Hair/Make/Tan- make sure you’re feeling your best, when looking for your wedding dress you want to feel glamorous, beautiful and well…special. It will make the whole search much easier. Please call to make an appointment – 0207 5909 120 to avoid missing out on our exclusive sample sale!